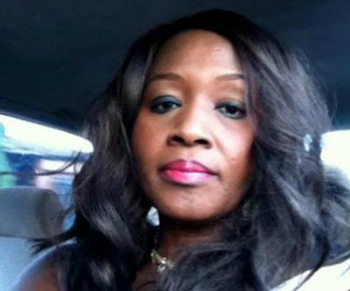 Daughter of former governor of Oyo State, Kemi Omololu-Olunloyo, posted a message on her twitter page through her publicist, that she was attacked and brutally beaten by her sister Funke and her son Fifehan Omitowoju. 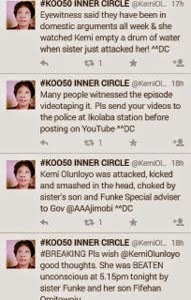 According to her tweets, she said the incident occured around 5;15pm, in front of her Agodi residence…. 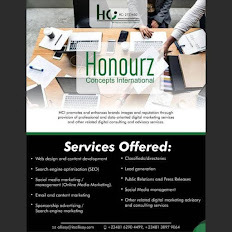 Read the tweets below..